What to do with extra cauliflower in the fridge? 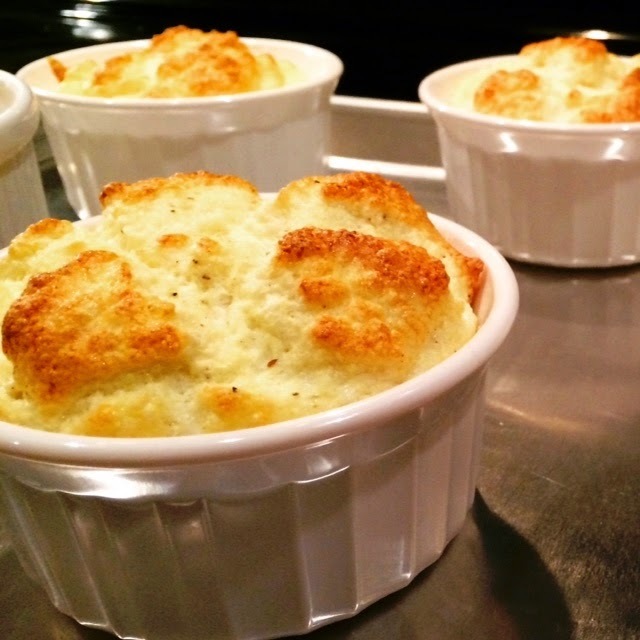 Make souffles, of course! This was actually one of the easiest souffle recipes I've made so far in my cooking experience. I'll have to test the recipe using other ingredients (a different vegetable and cheese). It's a short ingredient list: cauliflower florets, plain goat cheese, eggs, nutmeg, parmesan, butter, salt and pepper. In this recipe, the cauliflower is boiled, drained and then pureed. I just loved this recipe and can't wait to make it again.